Sometimes getting on the road can be a breath of fresh air- or at least it’s supposed to be. However, if you haven’t replaced your cabin air filter, it may be less pleasant, especially during allergy season. Our Ridgeland Honda service and parts center serving Jackson uses genuine OEM parts, so when it’s time to replace your air filter, be assured you’ll receive exactly the part designed for your model. Reduced Air Flow: It’s every driver’s nightmare: turn up the air conditioning on a blistering hot day, only to feel little to no air start moving. This is probably because your filter is too dirty to allow for much air movement. Bad Odor: This is a sign for many car problems, but if you start your car and the air just smells dusty or stale, the cabin air filter may be the culprit. This is especially true if you haven’t replaced it in 12,000 miles. Increased Noise: Your normally-quiet climate control has gotten pretty loud lately. That’s because the components, namely the van, are working overtime to compensate for a contaminated air filter, trying to push air through something that’s probably blocked. 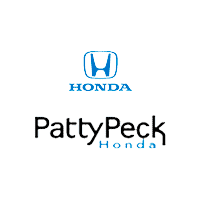 At Patty Peck Honda, we understand that when your car is out of commission, it’s a huge inconvenience. Fortunately, we make it easy to receive efficient and accommodating service. For over 30 years, our trained technicians work on all makes and models. We also welcome drive-ups and open at 7:30 AM, since cars don’t stick to a convenient schedule when they need work done! We’re conveniently located just north of Jackson. Come see us for your automotive needs! If it’s time to replace your cabin air filter, contact Patty Peck Honda by calling 601-957-3400 today!